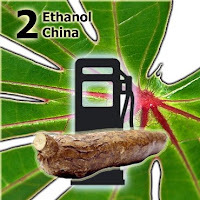 A visiting Chinese deal commission led by Fiji’s Ambassador to China, Sir James Ah Koy, is negotiating with authorities here to establish upward a mill to develop ethanol from cassava. Sir James says discussions have been held with the Native Land Trust Board and the Fijian Affairs Board - on a workings in partnership with the Chinese Government. He says the mill will be an economical saviour for the Fijian folk. “The agriculture position, we will be on a multilateral venture with the landowners, the mataqali and yavusa. "The output of ethanol, we will be on a multilateral venture with Fijian Affairs or Native Lands Trust or sure companies,” Sir James adds. He says the mill will require a continual supply of cassava to enable it to develop ethanol ceaselessly.